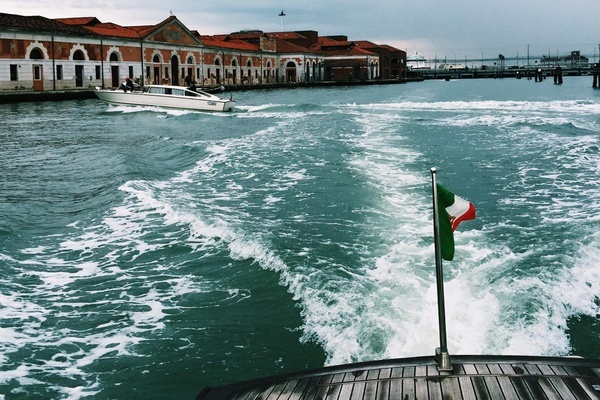 At one point, you will get sick of the crowds and canals of Venice. 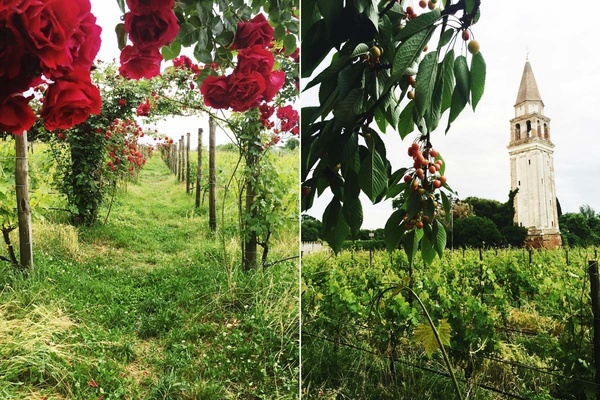 And that's when you'll follow Jackie DeGiorgio's lead and go north to the hidden gem that is Venissa for breathing space and a meal of a lifetime. VENICE – It had always seemed impossible to imagine standing anywhere in Venice without hearing the supple canal water lapping gently against a fondamenta, a distinct tempo that is just as quintessential Venice as the graceful gondoliers, mysterious Carnevale masks, and narrow serpentine calli. 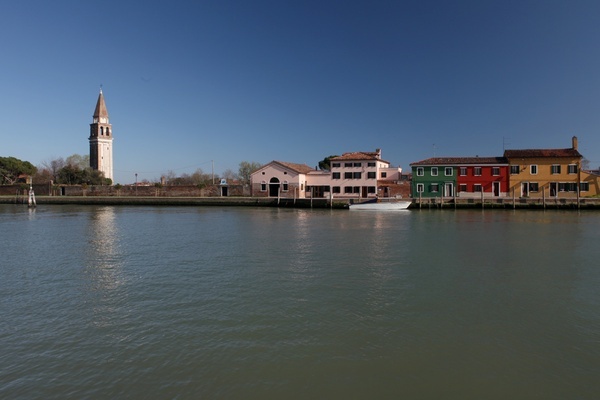 Then I stayed at Venissa, a wine resort on the remote island of Mazzorbo in the northern Venetian lagoon. Rather than head to the vaporetto upon arrival at Santa Lucia train station, a path I had trod more times than I could count, I set off for a rather uneventful little inlet of the Grand Canal tucked away north of the station to board a private boat to Venissa. (Yes, I felt like a fancypants.) Instead of zigzagging down Venice's main drag, the boat cuts right, gliding past a row of gothic Venetian palazzi to creep under an alarmingly low bridge and emerge northbound on the jagged teal-gray water of Laguna Veneta. We sail full speed ahead for a half hour, cruising by Fondamente Nove, Murano, and San Michele cemetery. The slanted bell tower of Burano's San Martino materializes from a faraway speck against the cottony overcast sky as we approach Mazzorbo. 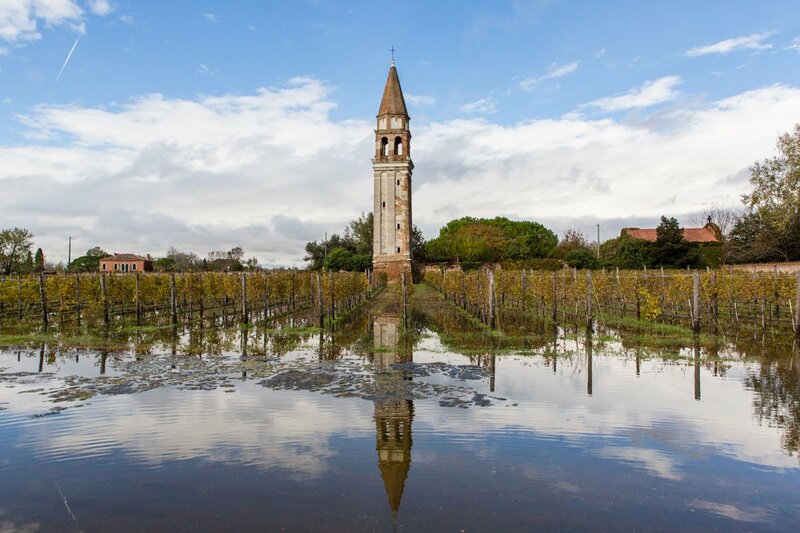 The former winery and farm was abandoned after the flood of 1966, the worst in Venice's history. Gianluca Bisol, a luminary of prosecco's prestigious Valdobbiadene D.O.C.G., acquired and started restoring the estate in 2006. 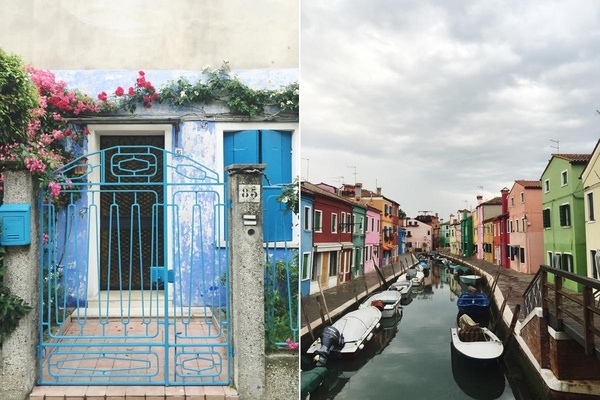 Today, nine retirees from Burano — the neighboring island known for its lace, sandolo boats, and vibrant candy-colored cottages — look after Venissa's gardens and vines. The hotel and restaurant opened in 2010. Gianluca's son Matteo has served as director alongside wife Veronica since 2013. 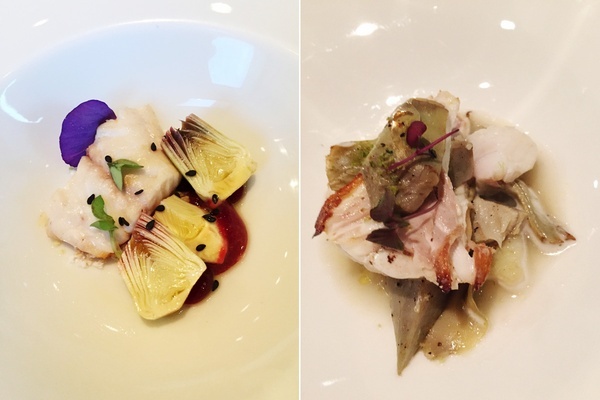 After chef Antonia Klugmann's departure from Venissa's one-star Michelin restaurant last year, Matteo divvied up the executive chef duties four ways, designating one course each to Sabina Joksimovic (antipasti), Andrea Asoli (primi), Michelangelo D'Oria (secondi), and Serena Baiano (dolci). 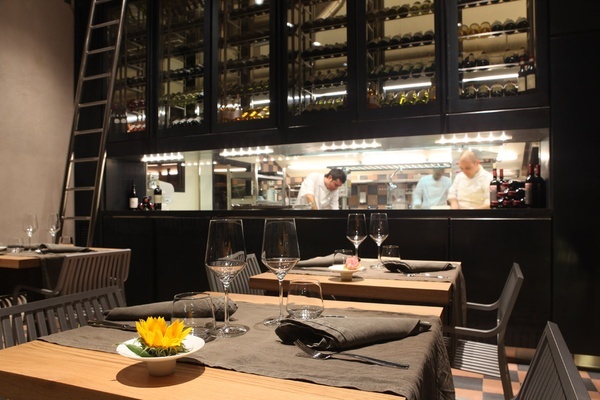 The Otto Mani ("eight hands") menu highlights imaginative takes on la cucina veneziana, while Venissa's newly opened osteria serves straightforward Venetian classics. 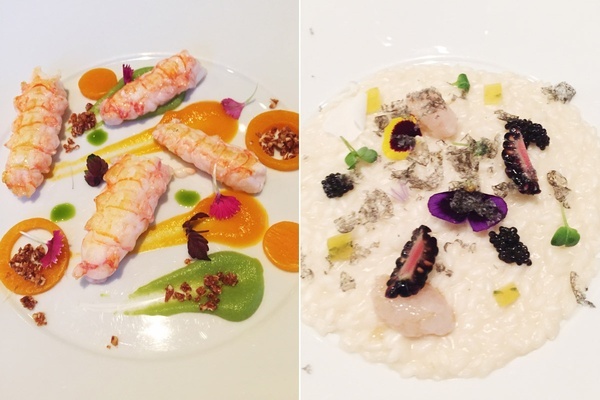 Both menus demonstrate as much local solidarity as the wine by coupling Venissa's own bounty with produce from Sant'Erasmo and seafood from the Rialto market. I glance at the kitchen and watch in awe as Asoli gets his mantecato on, a vigorous cycle of whipping, tossing, and catching his risotto-in-the-making, adding a pat of butter here and there to ensure the rice takes on its typical creamy texture. On the plate, the white velvety bed of al dente Acquerello is complemented by quite the snazzy spectrum: sliced blackberries, diced asparagus gelatin cubes, translucent shrimp tartare, Caviar de Venise, and indigo and yellow nasturtiums, finished with scorzone truffles grated tableside. D'Oria's cacao-butter-seared-then-baked turbot entrée atop schiacciata (flattened) potatoes with steamed-then-roasted artichokes preceded a cassis sorbet palate refresher. 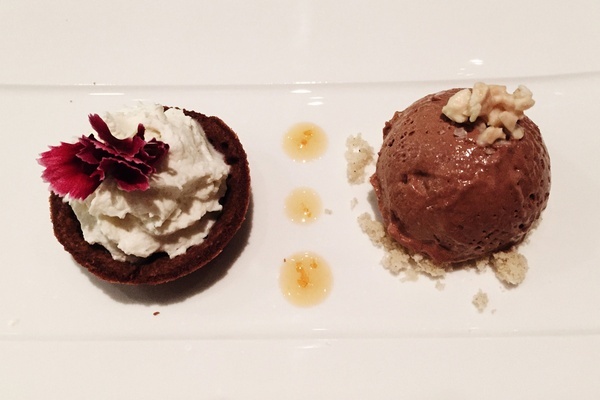 Baiano's grand finale, "Black and White," is a playful approach to chocolate two ways: a dollop of lagoon absinthe foam nestled into a chocolate sponge cake and house-made chocolate ice cream sprinkled with Sicilian almonds. 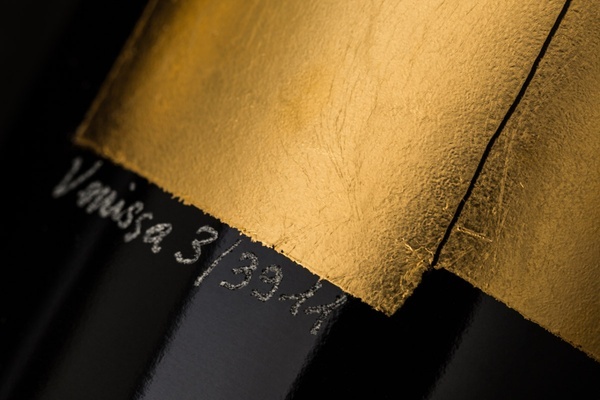 In addition to Venissa's namesake wine, a sampling of the Bisol winery's top sparklers, including a Metodo Classico made from the Glera grape, featured prominently on the mainly Italian 42-page wine list. Jackie is a Milan-based trencherman, storyteller, and runner. You can follow her at @jackiedeg on Twitter and Instagram. She travels for the temporary reprieve from her perpetual farsickness.